This book gives readers the tools they need to achieve work design that is ergonomically effective while remaining economically feasible. 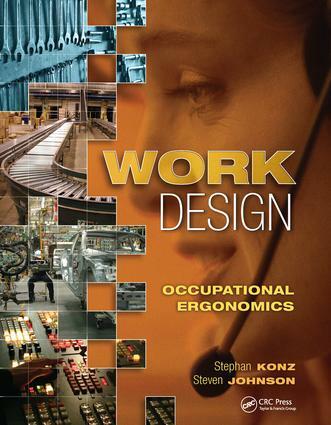 Whether studying work design/ergonomics in a college classroom, preparing for the Board of Certification in Professional Ergonomics (BCPE) exam, or working as a professional in the field, readers can depend on this book to provide them with the information they need. Work Design is a single source for ergonomics, work design, and work measurement. Its engineering orientation equips readers with practical design information and procedures; its explicit organization, conversational style, and clear explanations make it easy to read and understand. The book's many charts and graphics dynamically illustrate important concepts and principles, and its extensive references give readers confidence in the material.